The two-year replacement warranty means you don't have to add to Junior's tears when the tablet hits the pavement. The included one-year subscription to FreeTime Unlimited frees you from hand-picking suitable media for your youngster. Thanks to dual cameras, the kids can have fun snapping both selfies and shots of friends and family members--and save unlimited shots to Amazon's cloud. After the first year, FreeTime Unlimited costs $2.99 per month per child. The base model has only 8GB of storage, and even if you spend another $20 to get 16GB, it can't be expanded. The small screen makes some children's books hard to read, especially if they're formatted horizontally as a two-page spread. Trusting a tablet to a kid? Probably not a good idea, what with the latter's sticky fingers and tenuous relationship with gravity. 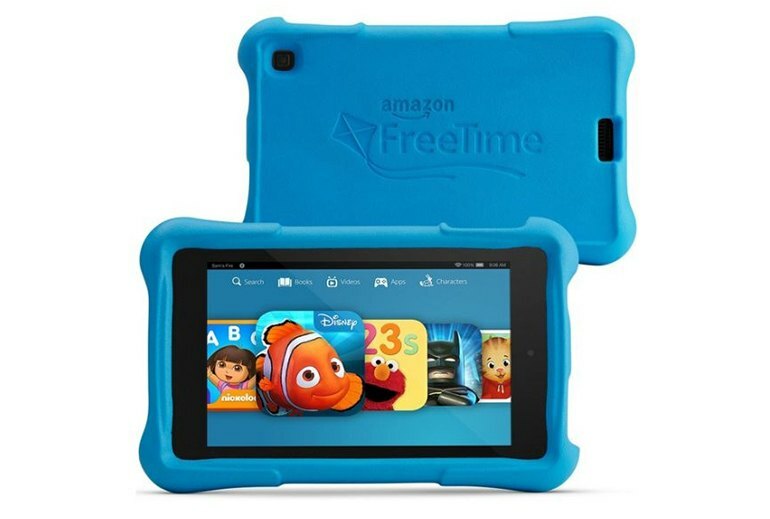 Amazon's Fire HD 6 Kids Edition aims to combat both, thanks to a colorful childproof case and two-year, no-questions-asked replacement warranty. The kid-friendliness continues with Amazon's FreeTime Unlimited, a curated selection of apps, books and movies. The tablet itself is decidedly entry-level, but so are kid users. This mini-tablet packs kid-friendly add-ons: a chunky bumper, no-questions-asked replacement, and access to lots of child-ready content. It’s a decent deal for families, provided the display is big enough and you’re an Amazon regular. In the end, my judgement on a kid-friendly product is always the same: if my 3-year-old's attention is held, it's a winner. The Fire HD 6 Kids Edition is a winner. 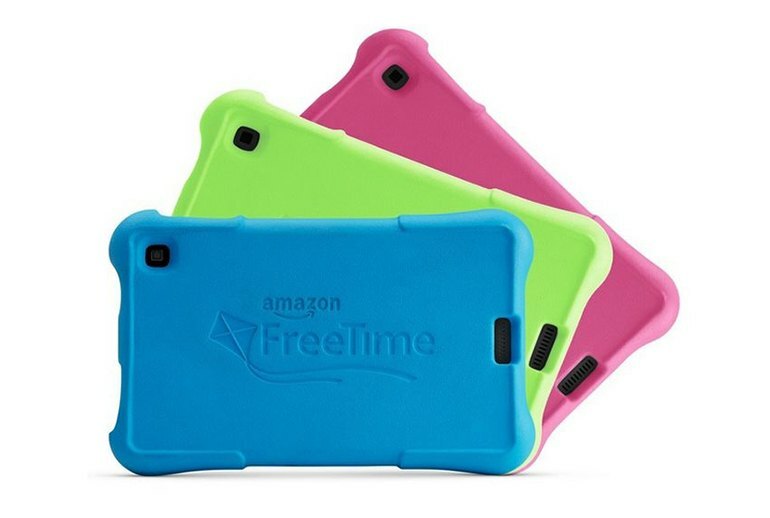 The Fire HD Kids edition is a knock-around great deal. In short, this is Amazon's year for tablets. The prices are right, the sizes are right, and the software is better than ever before. 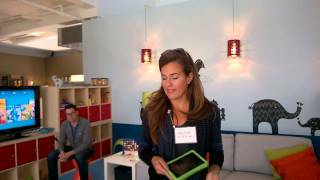 I loved the Fire HD 6, and the Fire HD Kids has won me over, as well. If you're looking for a great kids tablet this holiday season, don't hesitate to pull the trigger on this one. The restrictive Amazon Sangria OS makes the tablet easy for kids to navigate and operate, while the extensive, built-in parental controls give parents the ability to limit activity. We got this for our 2 year old. It was good for a few distractions on long flights, but it just does not compare to an iPad. Even for us the parents, navigating this thing is confusing -- our child gets hopelessly stuck on several screens. The format and UI of the books is stunted somehow -- it's not obvious how to flip through them, switch books, and some of the tactile actions like highlighting text are half-baked compared to the Kindle App on iPad. The battery life is disappointingly short -- if I forget to charge this on a daily basis, it inevitably dies, whereas my iPad keeps chugging along. I can use this product to read my eBooks in a pinch, but the interface is just a bit too clunky for our 2-year old, unfortunately.